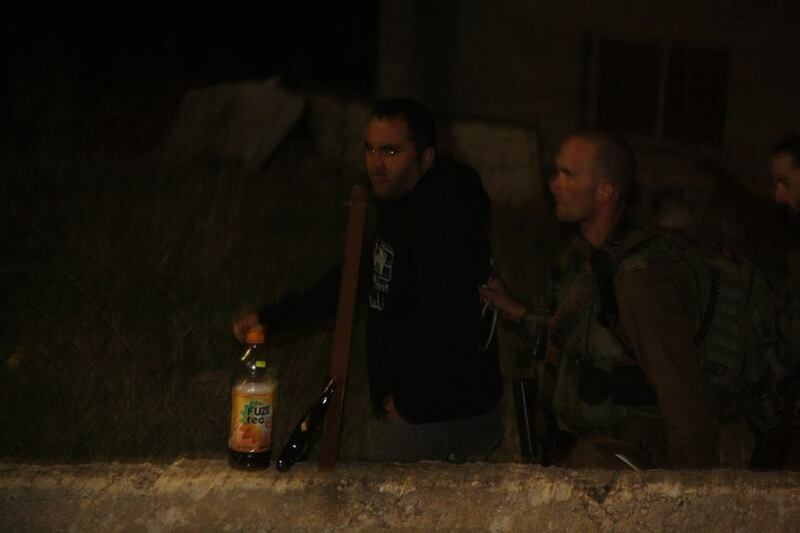 Yesterday night, Israeli forces arrested two activists from the local activist group Youth Against Settlement in occupied al-Khalil (Hebron). Illegal settlers, under the protection of the Israeli forces, then layed siege to the YAS center, the Soumud house, trapping everyone inside. Israeli forces stormed the house in the evening around 7 pm, and arrested 16-year old Ahmad al-Azzeh, accusing him of ‘having a knife’. Soldiers also arrested Issa Amro under the accusation of ‘disturbing the soldiers’ and ‘hiding a terrorist in his house’. Issa Amro was detained in a bathroom for more than four hours, with his hands cuffed behind his back and blindfolded. He was interrogated for long periods of time. Whereas Issa Amro was released after more than 5 and a half hours, Ahmad al-Azzeh’s arrest was extended for another 4 days. He has been arrested merely on a soldier’s accusation of ‘seeing him with a knife’. This ridiculous allegation is clearly a means to intimidate the whole group and on the long run force them to leave the area. After the arrest, settlers from the nearby illegal settlement approached the Soumud house, protesting and demanding Israeli forces to close it immediately. Groups of settlers have been outside the center the whole evening, and even brought mattresses to sleep in front of the house’s door the whole night. Everyone there, thus, was trapped inside without a possibility to leave. The whole time, Israeli soldiers present in large numbers allowed the settlers to do as they pleased, without ever intervening. A group of about 30 settlers camped outside the Soumud house, thus laying a siege to it and forcing everyone inside to spent the night there. 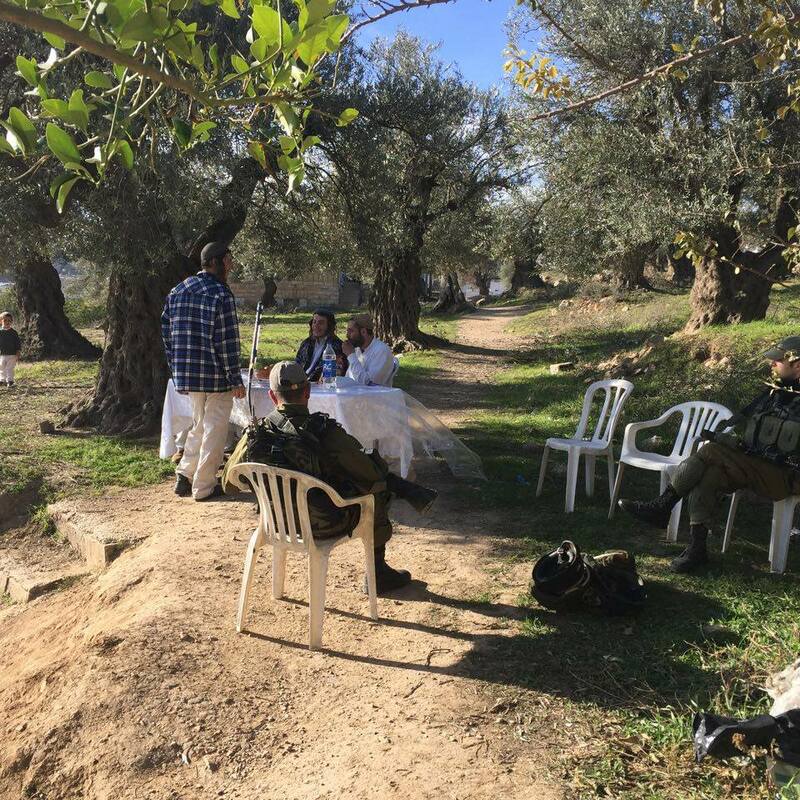 As of Saturday, 28th November 10:30am, settlers are still outside the center. The local activist group, Youth Against Settlements, has constantly been targeted by the Israeli forces for their non-violent resistance to the Israeli occupation. Only a month ago, Israeli forces took over the center for military use, destroying their media equipment. Settlers have repeatedly attacked the group members and wrongfully accused them of crimes.